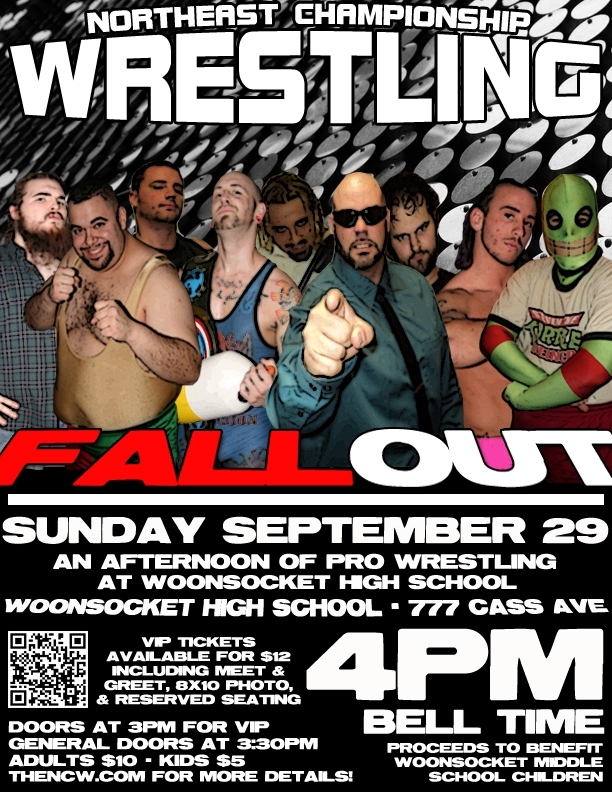 WOONSOCKET– Northeast Championship Wrestling’s 2013 season continues with a huge benefit event at Woonsocket High School [777 Cass Avenue] on Sunday afternoon September 29th for NCW FALLOUT! Competing in a seasonal format from February through November, for sixteen years NCW has presented a unique night of entertainment for fans bringing forth our larger than life characters, dynamic storylines, and incredible athleticism all while providing a unique experience for fans of all ages. With proceeds benefiting Woonsocket Middle School students, NCW makes its first appearance in Woonsocket with a bang when the reigning NCW Heavyweight Champion “The Maine Event” Scotty Vegas steps into the ring September 29th taking on his WrestleFest IX opponent “RIOT” Kellan Thomas. Back on September 6th Thomas eliminated Mike McCarthy to win the 2013 Big City Rumble, becoming the #1 contender for the Heavyweight Championship and guaranteeing him a title match December 14th at WrestleFest. Before that however, the cocky and impetuous Vegas has challenged “RIOT” to a match September 29th as NCW’s first triple crown winner looks to continue to build momentum toward the finale of the NCW Season. Commissioner and ruling Emperor of NCW “Dastardly” Doug Summers will be in the house September 29th, when he uses his decreeing power to challenge new NCW New England Champion Rob “The Giant” Araujo in a New England Title Match in Woonsocket. After stealing power from former Commissioner Dean Livsley, using his power to help his friends take control of the NCW Tag Team Championship and run roughshod over the promotion, Summers will now attempt to steal the New England Championship from the young Giant. Will be succeed? Also appearing in Woonsocket will be the Lumberjake, NCW 2012 Rookie of the Year “All Good” Anthony Greene, David & Eddie Loomis, Steve “The Turtle” Weiner, NCW Tag Team Champions the Inglorious Dastards (“The Beast” Brandon Behm & “Terrible” Tony Caruso), Buddy Romano, Dean Livsley, Pacifico, and many more! Doors open for VIP guests at 3pm with priority seating, a meet and greet with the NCW stars and an 8×10 photo with the wrestlers. General doors open at 3:30pm, with tickets available $10 for adults and $5 for kids twelve and under. 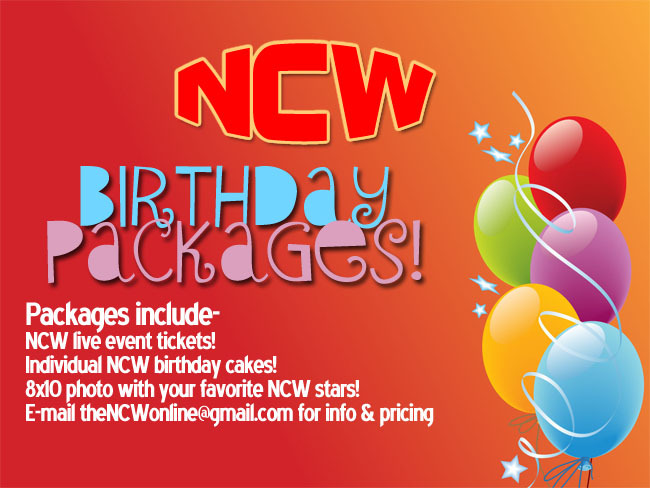 If interested in purchasing VIP tickets please email us at thencwonline@gmail.com for more details. 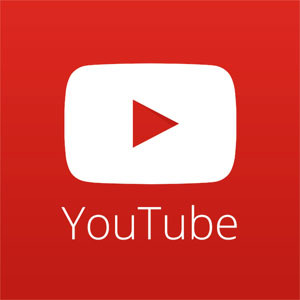 For more information on Northeast Championship Wrestling be sure to visit us online at http://theNCW.com and like us on Facebook at http://www.facebook.com/NCWwrestling. Previous PostPRESS RELEASE: NCW vs. Team Dynamite September 28th in RiversideNext PostNCW Returns to RI September 28th & 29th!